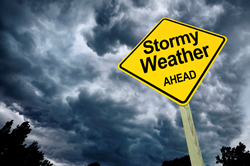 It’s National Hurricane Preparedness Week, and Amica Insurance suggests reviewing insurance policies in advance of these storms. Amica Insurance suggests reviewing insurance policies in advance of hurricane season. Locate insurance documents and thoroughly review them: Become familiar with important details pertaining to hurricane damage, including coverage amounts and deductibles. Create a home inventory of belongings: Even if you’ve already taken stock of these items, it’s a good idea to figure out how much everything is worth. In the event of a disaster, you may need to replace some or all of those belongings. Prepare your home and auto to ensure coverage: Often, insurance policies state that certain precautions must be taken by a homeowner in order to maintain coverage in the event of a hurricane. Review policies closely, and create a checklist to stay prepared. Make a list of any questions or concerns: Write them down, and call your insurance company as soon as possible. Be sure to document the answers.